Stem cap with integrated accessory adapter. CNC milled from 6061 T6 aluminium. Saves space on your handlebars with sturdy construction and height adjustability. Suitable for attaching computers, lights, etc. Hello, I need a new way to mount my bike front light having bought a handlebar bag for my camera. I am considering the Topeak Extender and I wonder whether the Mounty Space Bar is also suitable. You do not provide any dimensions so could you tell me the maximum possible clearance above the stem? Thanks. Also, in your opinion, is it more sturdy than the Topeak? The towpath I ride is very rough in places. 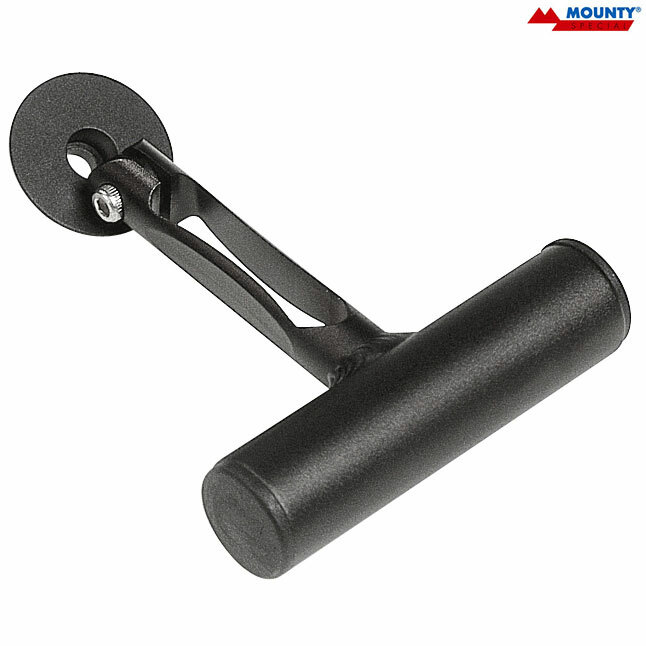 With the Mounty, you get 83mm of height (measured from the top of the stem cap to the centre of the bar). The Mounty is slightly more robust in its construction than the Topeak, but the Topeak is larger and is much more adjustable.